Today’s College Students: Self-Absorbed and Narcissistic? Are today’s college students really as “self-absorbed” and “narcissistic” as increasing numbers of people claim? Since broad generalizations, especially negative ones, are especially easy to make, much harder to prove and typically offered to gratify the one making them, I typically assume that they are always gross over-statements at least, and often altogether false. Typically. 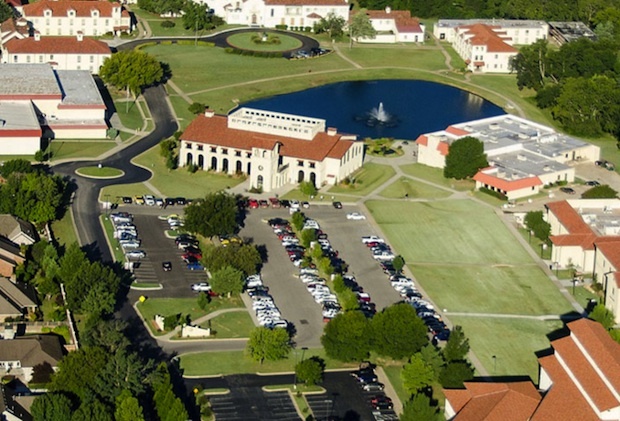 Events unfolding at Oklahoma Wesleyan University however, have got me thinking about the possibility that there may be at least more underlying truth in people’s concerns about college student culture than I tend to see. It all started with a chapel sermon on 1 Corinthians 13, often called the Bible’s “love chapter”, a student complaint about that sermon, and the university president’s harsh response to that complaint. The student publicly complained about the sermon, asserting that the “homily on love made (him) feel bad for not showing love” and that “the speaker was wrong for making him and his peers feel uncomfortable”. Really? You go to church simply to made to feel all good, all of the time? That’s why pre-schoolers watch Barney, and hardly the most sophisticated understanding of what church is all about. Don’t get me wrong – comfort and affirmation are necessary parts of what church, by whatever name or tradition it is known, must provide at least sometimes. But to imagine that those same churches should not also prod and provoke us into what is sometimes uncomfortable self-reflection, is to confuse religion with anesthesia! As Abraham Joshua Heschel teaches, the job of religion is to comfort the afflicted and afflict the comfortable. Of course, this might just be the grouchy, immature ramblings of one student – “might” being the operative word. Coming on the heels however, of absurd, but all too serious, events at universities around the county, including the Yale fracas over Halloween costumes, I wonder if we really aren’t witnessing a disturbing trend. When you add all of this to a recent Pew survey which reported that 40% of millennials support restricting free speech to that which is inoffensive, I would say that the OWU case is no outlier. Enter University President, Everett Piper. Dr. Piper’s response to the student who raised the complaint was a broad brushed attack on “self-absorbed and narcissistic” students as a whole. It’s not that his concerns are totally misplaced, as I have indicated. It’s not that the kind of “ideological fascism” which concerns him is not a real threat. It is. It’s not that we don’t need intellectual and institutional leaders who can stand up against it. We do. But name-calling, especially in the context of a debate about the meaning of being loving and of pushing ourselves to be more loving, seems kind of weird to say the least, and maybe even hypocritical to say the worst. Piper went further when he went on record saying that “The bottom line is… college is not about safe spaces or being a safe place. OWU is not a safe place”. I share his view that the university should be about more than what he calls “coddling”, but if creating some measure of intellectual safety is not at least part of the university mission, then what separates it from some brutalizing intellectual mosh pit in which there is nothing but endless combat? In fact, while Piper’s response to what is at least increasingly, if not generally, self-absorbed and narcissistic student culture, is rather self-absorbed and narcissistic itself. His response lacks the very self-reflection and willingness to be uncomfortable which he sees missing in his own students! They each want the other to come over to their side, and resort to hyperbole and name-calling in pursuit of that goal. There is an alternative. In fact, there are many, but I will limit myself to sharing one. What if students began to appreciate that if they only challenge others, but never feel challenged themselves, they will never grow? And if they don’t want growth, then Piper may be correct that the university is not the right place for them. At the same time, what if the “Dr. Pipers” of this world began to ask what is needed to make places sufficiently safe for students to risk re-thinking their very identities? Under the best of circumstances, that is hardly a risk-free endeavor, but without some safety nets in place, it is downright foolish to even try, especially if your name is not Wallenda.